The Maschio Gaspardo 5m multidisc harrow has helped Kerang farmer Tim Wood save time and cost in his cultivating business. 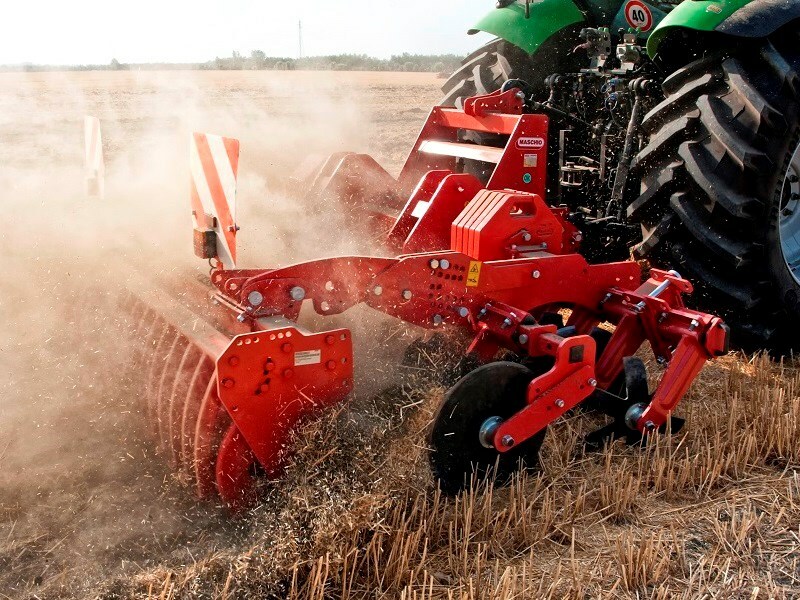 When busy farmer Tim Wood was looking for a cultivator that could get the job done in a third of the time, his research led him to Italian brand Maschio Gaspardo’s 5m Presto multidisc harrow. Wood and his family run a mixed cropping and beef cattle operation on a 243 hectare farm in Kerang, Victoria. On top of that, he also offers hay contracting and cultivation services with help from his father. When Wood was looking to expand his cultivation work, he needed a solution which is efficient yet will not cost him an arm and a leg. After thorough research, he decided to purchase a 5m Maschio Presto mounted multidisc harrow with hydraulic folding frame from his local dealer, Cohuna Car Sales and Machinery. Wood says he was immediately impressed with the design, strength of the build as well as the size of the Maschio Presto. "We wanted a machine that would give us good weed control, good straw incorporation, and tillage that could repair compacted soil without too much disturbance," Wood says. "With other brands, I’d have had to option up to get the same outcome that’s standard with the Maschio Presto." The Presto has been designed for use in no-till soils to incorporate crop residue and in tilled soils to complete seedbed preparation. It features concave, toothed 510mm boron steel discs angled at 18 degrees to ensure a constant flow of soil from the first to the second gang without clogging. According to Maschio Gaspardo, perfect overlapping between the front and rear gangs on the Presto gives consistent soil mixing without machine drift. Its high clearance frame and narrow distance between gangs improve stubble incorporation with low fuel consumption. Customers can specify their Presto disc harrow with different types of rear rollers to suit their own requirements. The rollers serve to stabilise the machine during work and define the working depth, which can be easily adjusted. So far, Wood has done 405ha with the Maschio Presto which he says has given him an excellent seedbed. "The time and fuel we’re saving is fantastic," he says. "We used offset discs before and we’d have to do three passes to offset, smudge and harrow. "With the Maschio Presto, in only one pass, we’re not only getting the work done, we’re getting much better results." Wood uses the Presto with a 200hp tractor working at approximately 15kmph. "We were biting in pretty deep at that speed, a good 10cm," he says. "It’s very good at breaking up heavy weed cover and we’re not getting the clogging that we had with the offset discs. The pitch of the Presto disc seems to be cutting through a lot more easily." Wood adds he has tried the Presto on summer pasture which is usually very hard to rip into but it posed no problems for the Presto. "We’ll be expanding our cultivation services thanks to the Maschio Presto and I’m very happy to recommend it," he says. Maschio Gaspardo is distributed in the country by PFG Australia. Find out more about the brand and its product range by visiting the website.